Can The Samson Expedition XP150 Portable PA Offer More Than Just Portability? 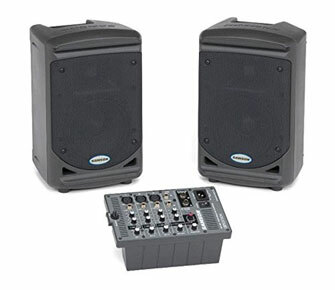 The Samson Expedition XP150 150-Watt Portable PA System boasts dual 2-way speaker enclosures, 6-inch woofers and a Class D amplifier capable of 150 watts of stereo power in its specification. However, this is the sort of model where the fine technical details actually don’t matter as much because users are more focused on four other, more simplistic aspects. This model claims to be able to suit a lot of different performers and scenarios, it has an small, interesting design that suggests portability, it has enough features to suggest a high-quality performance without being too complicated and it is a fair price. These are the perceived benefits that are attracting buyers but are they coming through when the Expedition XP150 is in use on stage? What benefits have buyers enjoyed when using this Samson Expedition XP150 and do these ideas of versatility, quality and portability come through? Portability is one of the main reasons for choosing this product over other options because the photos immediately suggest a small footprint and hardly any equipment to transport. 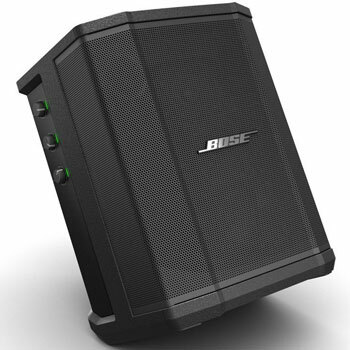 Buyers love the fact that the two speakers lock together for security and have storage in the back of them for the board, cables and a microphone. This clever design means there is just one piece to be lifted and moved and this convenience is enhanced by the fact that it weighs just 24lbs and measures in at 14x16x9” when packed up. When it comes to the quality of the item, the feedback is not quite so good as there are limitations noted alongside the positive comments about the sound and durability. 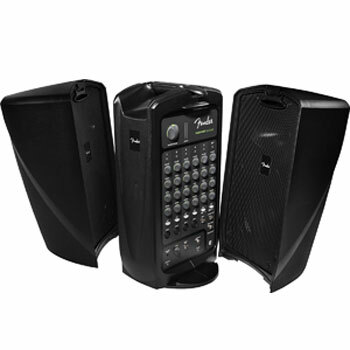 There is a lot of praise for the speakers because of the size and the volume that comes out and it seems to have a reasonable sound quality for the purpose. 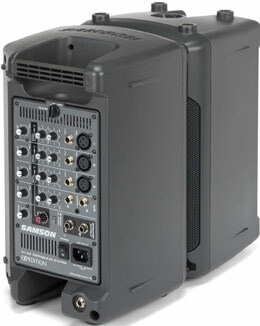 Additionally, this Samson Expedition XP150 Portable PA System offers durability too and a nice range of inputs for connecting devices other than microphones, such as keyboards and MP3 players. Unfortunately, while these four inputs suggest that duo and bands can use it with success, there are potential problems in doing so and there is also not much to the system in the way of FX or bass. It may promise deep tones and “pure dispersion” but this is not always the case. Why is versatility more of an issue and what criticisms have buyers made in their reviews for this Samson Expedition XP150 Portable PA? 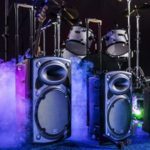 In the product description there is the claim that this product will suit a wide range of performers, from singer-songwriters in coffee shops to full bands practising in rehearsal spaces and DJs playing at small clubs. The reports from users suggest that the first two could well be true but the lack of bass mentioned above and concerns about the ideal room size for using this Samson PA system suggest that those DJs in clubs would probably prefer something else. There are plenty of scenarios where this product has worked well and been given a high score, such as cafés, small churches, dance studios or low-capacity halls and users say that their voice is amplified nicely; however, these same reviewers say there is a clear upper limit where the sound quality can get stretched and suggest it is best used in front of 15-20 people, which seems a little low. Summary: with this issue of limited capacities and functions in mind, who is this Samson XP150 PA system really recommended for? When looking at this versatility issue it becomes clear that this is a product that has its specific purpose and it is quite limited. 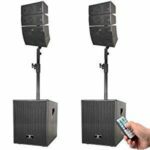 Small venues requiring little sound input and no heavy bass are well suited to this system, and it is great for solo performers and speakers, but it will struggle when pushed to do much more or fill a bigger room. This sounds like the start of a negative verdict but it is important to remember just how well it does this job for the small group of performers it will suit. If you are a speaker, coach, instructor or someone in another similar role that just needs to project their voice to a small audience and wants a simple system to carry around between studios or on the road. This Samson PA sound system is highly recommended because of the ease of use, the volume and clarity of the basic sound and – most importantly of all – the clever design. Find more reviews about the Samson Expedition XP150 Portable PA on Amazon here.